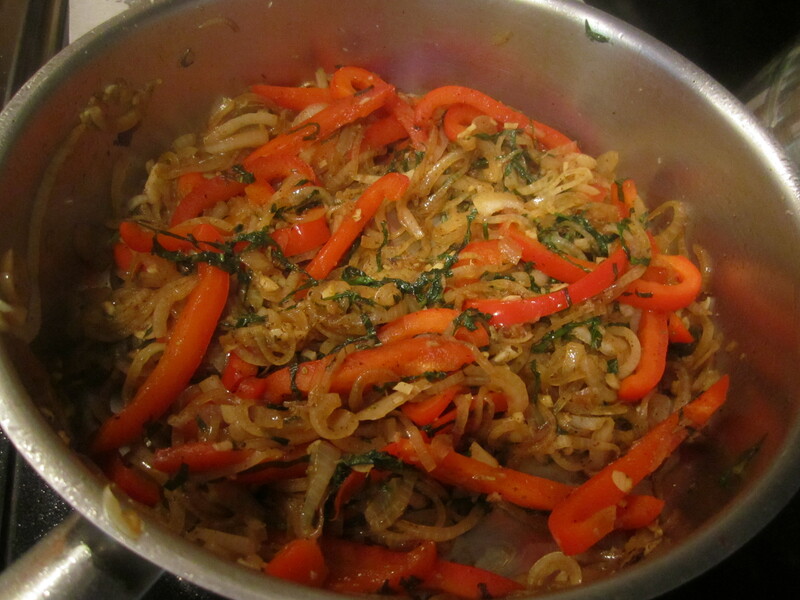 When I first made this recipe, I thought what a great party dish! And indeed it is. My son had a get together with some of his friends when he was in high school. We mostly served pizza but I decided to make this and see whether the kids would go for it. They did. If you like it spicier, you might want to try hot sausage instead. You can serve it over pasta or as a sandwich. I’ve tried both and they are delicious! Heat 1 tablespoon of oil in large skillet over medium heat. Add sausage and cook until brown on both sides, about 10 minutes. Remove from pan and set aside. Add the other tablespoon of oil to pan. 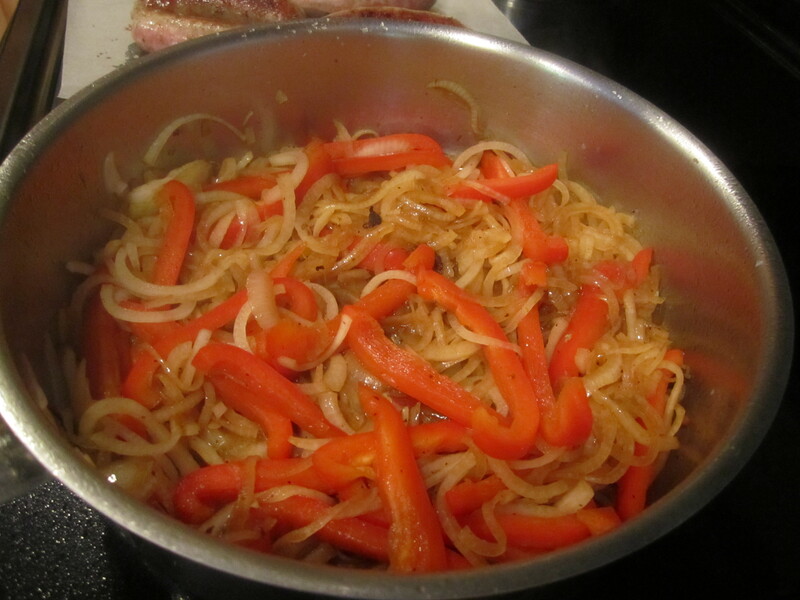 Add pepper, onions, salt and pepper and cook for about 5 minutes until golden brown. Add oregano, basil and garlic and cook 2 minutes. Add the tomato paste and stir. 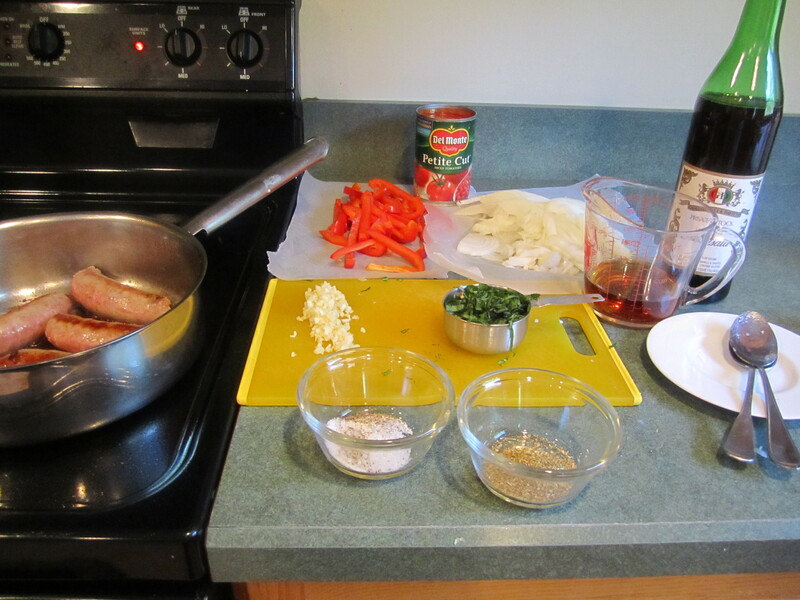 Add the Marsala wine and tomatoes. Stir to combine, scraping the bottom of the pan with a wooden spoon or metal spatula to release browned bits. Bring to a simmer. 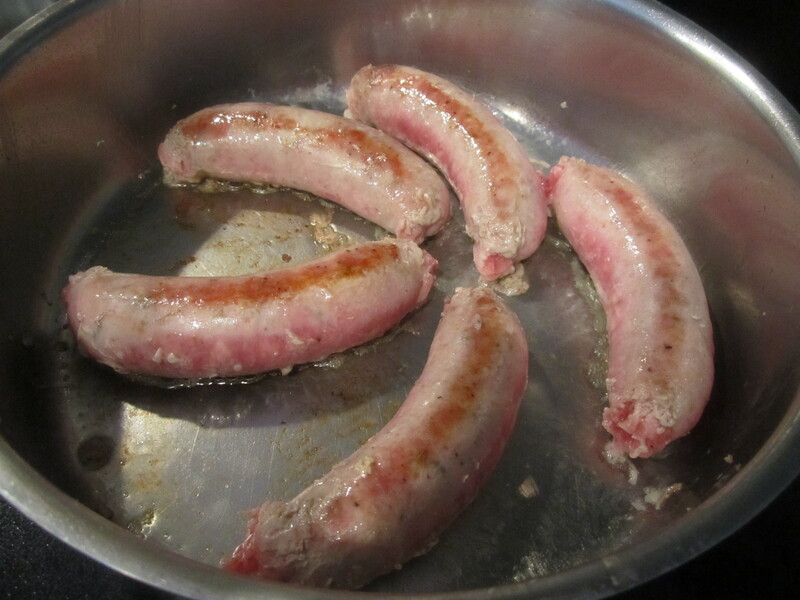 Cut the sausages into about 1 inch pieces and add back to pan. 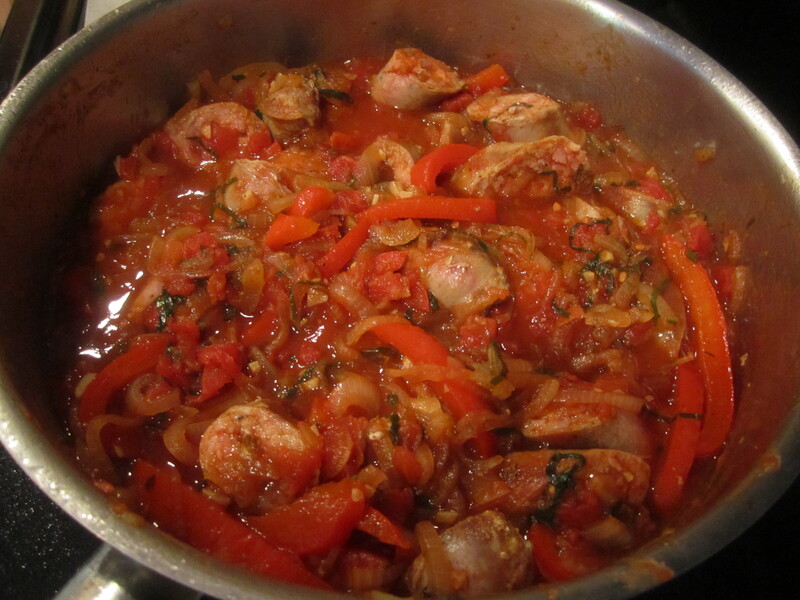 Cook until sauce is thickened, about 20 minutes. 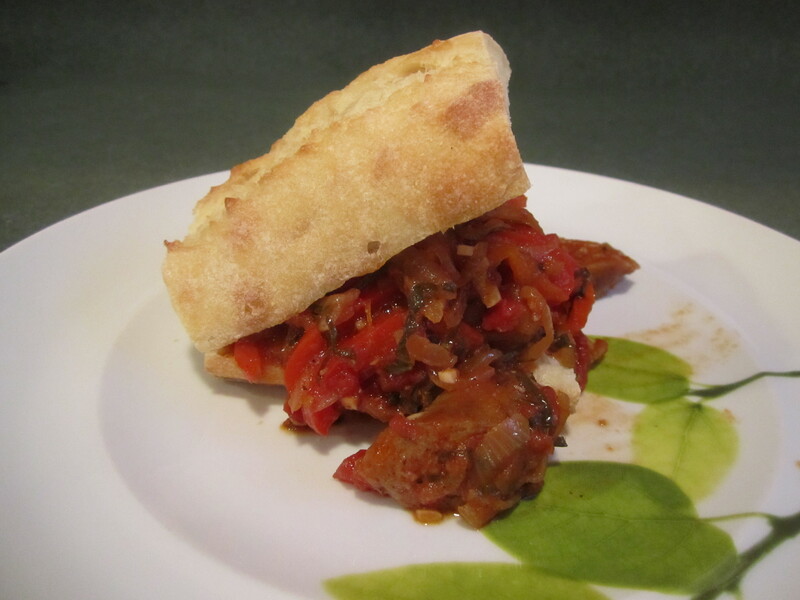 Serve over pasta or in the Italian rolls or bread, like a sandwich.